I feel like today will be my lucky day!!! Love your site and thank you for a the work you do!! I would love to win because Target is my favorite store! Lije Totally Target on facebook. I had a great time shopping at Target this week, and I know just what I would buy with this. Pick me! I would sure enjoy a Target gift card. awesome! What a cute one. Count me in for the chance! I like you on FB, too. Thank you. Party on cat!!!! Would luv to join you…. Hope I win. Would love to win the gift card! Thanks for all the giveaways! THANK YOU! i could use the help with groceries!! ty again! i follow u on Facebook!! TY! Would love to win! Thanks for the chance Kerry! I love that you post these each weekend! Thank you TT! love your site! Thank you I heart totally target! 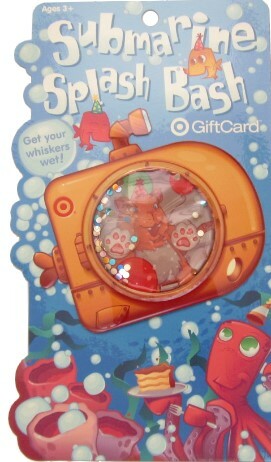 Would love to win this cute giftcard! Totally Target is my favorite website, love target! I like Totally Target on Facebook! thank you! !